Book a Galapagos Yacht Cruise by Aug. 31st for Travel in 2012 or 2013 and save. 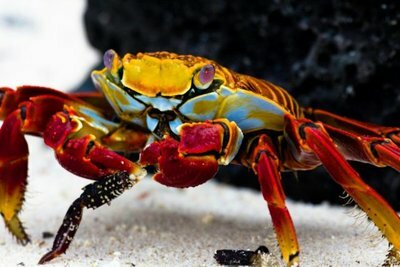 Sally lightfoot crab, the Galapagos Islands. ©Ellen Barone. Environmentally friendly Galapagos cruise company, Ecoventura, is offering a special ten percent discount on some seasonal departure dates through mid-December 2012. In addition, guests booking a trip now for 2013 (excluding holiday weeks) can lock in 2012 cruise rates. This promotion can also be combined with a 5 percent Early Bird discount for selected departure dates 180 days out from booking date. The 2012 seasonal departures that apply are July 29-Aug. 5, Aug 19-26, Sept. 2-9, Sept. 16-23, Sept. 23-30, Sept. 30-Oct. 7, Oct. 21-28, Nov. 4-11, Nov. 18-25, Dec. 2-9 and Dec. 9-16. Seven-night/eight-day cruise rates start at $3,550 per person, double occupancy before any discounts are applied. Additional discounts are available for children. All cruises run Sunday to Sunday. Luxury cruise ship operator Paul Gauguin Cruises is offering some exceptional deals on several upcoming sailings in Tahiti, French Polynesia and the South Pacific. For 2010 Sailings: Save up to 45% plus FREE or 2-For-1 Airfare from Los Angeles. Savings vary by itinerary for the following sailings: Tahiti & the Society Islands (7 nights), Society Islands & Tuamotus (10 nights), Cook Islands & Society Islands (11 nights), and Marquesas, Tuamotus & Society Islands (14 nights), President’s Cruise - New Zealand, Tonga, Cook & Society Islands (14 nights), Society Islands & Tuamotus Holiday (9 nights). Book a suite or stateroom in category B or above by December 15, 2010, to enjoy a FREE overwater villa at the luxurious InterContinental Bora Bora Resort & Thalasso Spa – a $1,775 value**. This offer to experience the island’s dramatic ambience in lavish accommodations is available on only four sailings, available at http://www.pgcruises.com/free-bungalow. Book by November 30, 2010, to receive Guest Privileges Credit of up to $1,000 per couple†. For January through June 2011 departures to the Marquesas, Tuamotus & Society Islands, guests receive Guest Privileges Credit of $500 per person, which can be used for shore excursions, spa treatments, and more. All other January through June 2011 bookings will receive Guest Privileges Credit of $250 per person. Visit http://www.pgcruises.com/guest-privileges for additional details. Variety Cruises’ last-minute sales to Greece are perfect for savvy summer vacation shoppers waiting for the best deals to roll out. And airfare finds to Greece make it an enticing season to travel. Here are three great reasons to set sail and cheer “Opa!”. Summer Offer: $750 reduction per person; two free nights at a four-star Athens hotel (room only); free ½ day sightseeing tour of Athens. Starting at $1,540 per person, per week. Perfect for first-timers to Greece! Discover the best of the Aegean Islands, Crete and Continental Greece with seven nights on the fabulous Harmony V or G mega yachts. Available for select sailings through October 30, 2009. Seven nights on the mega yacht Harmony G or Harmony V in the breathtaking Cycladic Islands, including sites of Kusadasi, Ephessus and the lesser known island gems of Patmos and Samos. Available for select sailing dates through October 16, 2009. Summer Offer: $300 reduction per person on select sailings. Starting at $1,150 per person, per week. This thrilling cruise heads southeast of mainland Greece on the M/S Galileo through a collection of off-the-beaten-path islands, including Poros, Kimolos, Santorini, Paros, Mykonos, Kea and Sounion. Available for select sailing dates through October 23, 2009. In every economy the smart money goes somewhere. With Holland America’s new Vacation Stimulus Plan, the smart money goes cruising. Because there’s never been a better time to get more, pay less and sail away from it all on the cruise you’ve always wanted to take, check out these deals from Holland American Line. Experience the beauty of the Inside Passage and Alaska’s Glaciers and discover charming port cities of Juneau, Skagway and Ketchikan. Book by February 28, 2009. Carefully crafted itineraries offer choice Caribbean cruise experiences, many including stops at our award-winning private island, Half Moon Cay. With three regions to choose from, plan your perfect escape - a Caribbean cruise vacation. From the wonders of ancient Egypt, Italy, Greece and Turkey to the beautiful beaches of the Black Sea and the French Riviera, our Mediterranean cruise vacations have something for everyone. While a Crystal Cruises vacation is inherently loaded with inclusive value, the luxury line is sweetening the cruise savings for 2009 and beyond. From getting there to being there, Crystal’s significant savings promotions range from upgraded and complimentary air travel to family incentives, extended land programs and dollars off. Guests booking and sailing on any 2009 Europe, transatlantic or Crystal Symphony Asia cruise can realize significant savings on these sailings, and also save 20% on virtually any 2010 voyage, excluding the World Cruise and its segments. Crystal is offering complimentary two-category stateroom upgrades and up to $2,000 per person for Penthouse accommodations with Crystal Symphony’s spring cruises in China & Japan and Southeast Asia. The two cruises between Hong Kong and Beijing also feature an inclusive three-night land stay in Beijing. The small ship, travel company, Ecoventura is doing what it can to soften the blow of rising fuel prices. On its Sept. 28-Oct. 5, 2008 departure the company is waiving the usual $125 per person fuel tax surcharge. Value-minded travelers might also be pleased to know that late September and October also coincides with lower off-season rates on international flights to Ecuador as well as flights from the mainland to the islands. An Ecoventura spokesperson, Doris Welsh, notes that this week is a prime time to visit the islands. Late September falls into the garúa season, or dry season, that continues from now to November. Wildlife activity is up and temperatures are on average 10 degrees cooler with highs in the mid-70s. The Galapagos Penguins continue to delight swimmers and snorkelers with their antics at the surface and torpedo-like movement underwater. Sea lions are in estrus stage and harem-gathering males are barking and fighting on the shore. Most species of sea birds remain quite lively at their nesting sites, notes Welsh. While enjoying an Ecoventura cruise, guests also travel with the peace of mind that their carbon footprint is being completely offset through company actions. In 2006, Ecoventura became the first Carbon Neutral operation in the Galapagos (and Ecuador). Carbon emissions from the company’s four yachts (and offices including business travel) are reduced and then offset by contributions to a portfolio of projects through the US-based company NativeEnergy. Ecoventura is a family-owned company based in Guayaquil, Ecuador, with sales offices in Quito and Miami. 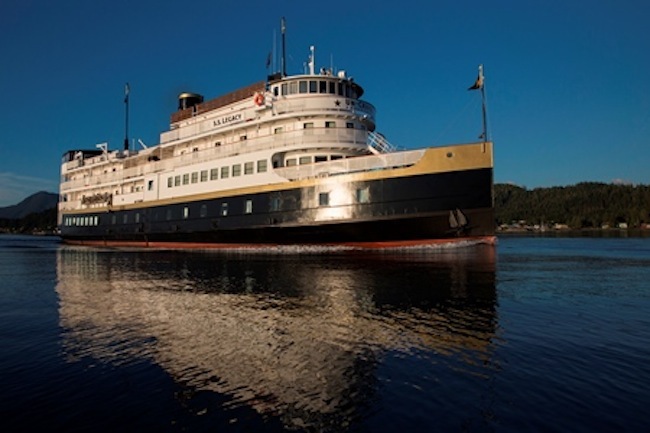 In operation since 1990, the cruise company transports 3,000+ passengers annually aboard a fleet of three expedition vessels; identical, superior first-class 20-passenger motor yachts with 10 double cabins. The company also operates the Sky Dancer, a 16-passenger dedicated dive live-aboard offering 7-night weekly itineraries visiting the northern islands of Wolf and Darwin. All of its vessels have been purposefully retrofitted to meet or exceed the highest possible environmental standards. To reserve a cabin on the special September departure or to receive a copy of Ecoventuras 2008 catalog call toll-free 1.800.644.7972, or e-mail info@galapagosnetwork.com. 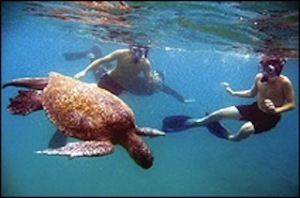 To access current rates, schedules and itineraries you can log onto www.ecoventura.com/. INTRAV’s 14-night cruise exploring the Danube, Main, Rhine and Mosel rivers is, above all, a voyage of great cultural and scenic diversity. From bustling Budapest and grand Vienna to medieval Passau and Regensburg, majestic Bratislava and romantic Koblenz, beautiful landscapes and historic towns appear around every bend on “Europe’s Four Romantic Rivers” September 21 and October 6 Sound of Music sailings. Guests on this unique itinerary, sailing through the picturesque countrysides of Hungary, Slovakia, Austria, and Germany, will also reap extraordinary savings with a choice of free economy air (up to a $1,200 value) or $1,000 off business class air when booked by INTRAV. Upon arrival in Budapest (or Trier for the reverse itinerary on October 6), guests will embark the new, ultra-deluxe 98-guest Sound of Music, the most luxurious vessel sailing Europe’s waterways complete with spacious all-outside cabins, single-seating dining, and a spa for beauty and wellness treatments. After an onboard overnight and a “Treasures” tour of traditional “Buda” and modern “Pest,” visiting the 500-year-old Matthias Church, St. Stephen’s Basilica, turreted Fisherman’s Bastion, and the enchanting Royal Palace, the Sound of Music sets sail on the “River of Emperors” – the Danube. The first port of call is Slovakia’s multicultural capital, Bratislava, renowned for Devin Castle, a fortress at the confluence of the Morava and Danube rivers, and 14th-century St. Michael’s Gate. Next is Vienna for an onboard overnight. Here, in the culturally rich “City of Waltzes,” music and art lovers will enjoy the city’s gothic St. Stephen’s Cathedral and Hofburg Palace, home to the imperial Hapsburg family until 1918. The rolling hills of Austria’s Wachau Valley unfold as the Sound of Music plies the Danube to Melk, home of the Melk Abbey, a former palace, and one of the most impressive architectural masterpieces north of the Alps. Located on the border of Germany at the confluence of the Ilz, Inn and Danube rivers, 2,000-year-old Passau is known, logically enough, as “The City of Three Rivers.” . A highlight here will be a concert at St. Stephen’s Cathedral featuring Europe’s largest pipe organ with more than 17,000 pipes. The following day guests explore 2,000-year-old Regensburg and visit Donaudurchbruch Gorge where they can climb up to the classical Hall of Liberation for breathtaking views of the Altmuehl Valley. After a relaxing day cruising the Rhine-Main-Danube Canal, the riverboat reaches Nürnberg for visits to the Hauptmarkt, St. Sebald’s Church, and the German National Museum, where master painter Albrecht Dürer lived. In Bamberg, architectural treasures abound with the 17th-century Neue Residenz and Domplatz, one of Germany’s most beautiful squares. Guests will take in gorgeous landscapes of the Main River before discovering Würzburg, “The Pearl of the Romantic Road.” In the heart of the Franconian wine district, this city presents enchanting baroque and rococo architecture, such as the grand Prince-Bishop’s Residenz, which is one of the largest baroque palaces in Germany and an UNESCO World Monument. After visiting the preserved medieval walled city of Rothenburg, seemingly untouched by time, it’s on to the neighboring Bavarian town of Miltenberg, which consists of a single street lined with the half-timbered buildings that are so characteristic of central Germany. At the confluence of the Rhine and Mosel rivers stands the 2,000-year-old city of Koblenz. Though World War II took its toll on the city, many of the historic buildings have been painstakingly restored, including the Church of Our Lady and a 13th century Gothic basilica built on a Romanesque foundation. The next visit ashore is to charming Cochem in one of the best wine regions of the Mosel Valley. Here, the impressive 1,000 year-old Reichsburg Castle rises majestically behind the medieval town. Also toured is Marksburg Fortress, the only undamaged mountainside castle along the Rhine. After a morning walking tour of Bernkastel, one of Germany’s most colorful wine towns, the Sound of Music reaches Trier, Germany’s oldest city dating back to the Roman Empire. Touring here includes the preserved Porta Nigro (Black Gate) and amphitheaters where the Romans once watched gladiator battles. Following a captain’s farewell gala dinner and onboard overnight, guests disembark and fly home via Luxembourg. Per person prices for the 14-night September 21 and October 5 voyages are from $4,495 and include, all meals during cruises, gratuities, shore excursions and port charges. In addition, guests may choose either free economy air (up to a $1,200 value) or $1,000 savings on business class air when booked by INTRAV. Since its founding in 1959, St. Louis-based INTRAV has built a formidable reputation as an innovative designer and operator of worldwide river cruises, land and safari journeys and small-ship expeditions. With operational experience in more than 90 countries, INTRAV offers more itinerary choices to more destinations around the world. For additional information about INTRAV call (800) 456-8100 or visit www.intrav.com. SOURCE: Spring, O'Brien & Co. Crystal Cruises invites children 11 and under to cruise for free on two Panama Canal cruises this Thanksgiving when sharing a stateroom with two adults. Part classroom, part adventure, children of all ages will marvel at the science of transiting the Canal and the drama of experiencing nature from the wilds of Costa Rica to the tranquility of the Caribbean. With the new promotion and special savings fares, travelers can save up to 60% off brochure fares. Crystal Symphony travels from Caldera, Costa Rica to Miami, Florida on a 10-day cruise, November 14-24, with calls in Curaçao/Willemstad, Netherlands Antilles; St. Barts/Gustavia, French West Indies; and Tortola/Road Town, British Virgin Islands. Crystal Serenity journeys from Miami to Caldera on an 11-day cruise, November 19-30, with calls in Turks & Caicos/Grand Turk, UK; St. Barts/Gustavia, French West Indies; St. Maarten/Phillipsburg, Netherland Antilles; and Aruba/Oranjestad, Dutch West Indies. The "kids sail free" promotion is capacity controlled and limited to triple-berth staterooms. Per adult, double occupancy fares start at $2,195 and $3,380 for the 10- and 11-day cruises, respectively. "This Thanksgiving, families can enjoy the luxury of a Crystal cruise and the opportunity of being together at a great value during the holiday," says Bill Smith, senior vice president, Crystal Cruises. "Guests can share a traditional Thanksgiving feast with all the trimmings, while enjoying all of Crystal's luxurious amenities and the technical wonder of a Canal transit." With its dedicated children's facilities Crystal is the luxury operator best suited for the family market. Fantasia is outfitted with games, and craft materials, while Waves features Sony Playstation® and personal computers with entertainment and education software. Xbox 360® video consoles are available for open play and onboard video game tournaments. On these cruises, both ships will feature a fully supervised Junior Activities program for kids ages 17 and under. Depending on the children's ages, families will also have the opportunity to extend their adventures ashore with such experiences as a ride in a yellow submarine in St. Barts, swimming with stingrays in Turks & Caicos, an elevated canopy walk among the rainforests of Costa Rica or a helmet dive for a walk along the ocean floor in the Caribbean. Aboard the 1,080-guest, 68,000-ton Crystal Serenity and the 940-guest, 50,000-ton Crystal Symphony, refined elegance meets casual simplicity. The renowned Crystal experience is distinguished by incomparable service, abundant space, extensive choices, and superior quality. Crystal Cruises enjoys an unparalleled reputation for excellence, anchored in 11 consecutive years of "World's Best Large-Ship Cruise Line" awards by the readers of Travel + Leisure and Condé Nast Traveler magazines - the only cruise line, resort or hotel to have achieved such distinction. For additional information, please contact a travel agent or call 888-799-4625. Visit the luxury line's website at crystalcruises.com. The Moorings, a premier yacht charter company, is providing another reason to set sail for your summer escape with savings of 20%*on select yacht models. Sail from now until July 31 on the Moorings 403, 443, 51.5 or the award winning catamarans Moorings 4000, 4200 or 4700 and save. Enjoy this special in Tortola, St. Martin, St. Lucia, Canouan or Belize and book by May 31, 2007. Or, escape to the islands from June 1 to October 31 and enjoy savings of 10%* in Tortola, Canouan, St. Martin, Bahamas, Martinique, Belize, St. Lucia or La Paz. Whether visiting Anegada for a famous lobster dinner, snorkeling one of the largest barrier reefs in Belize or gazing at shooting stars in the Abacos you know you will have an amazing sailing vacation with The Moorings. Book by May 31, 2007 for these savings. Members of the Moorings Captains reward program will receive an additional 5% off their charter plus discounts at participating merchants in many locations. For every salty dog eager to take the helm, or a landlubber ready to catch the wind, the pristine waters of St. Vincent and the Grenadines offer an idyllic setting for sailing enthusiasts of all skill levels. This summer, active families can set sail with Barefoot Yacht Charter’s six-day/six-night “Learn to Sail” voyages and return home with a lifelong skill. For more information on St. Vincent and the Grenadines, please visit www.svgtourism.com.